Spring has well and truly sprung here in Hertfordshire. 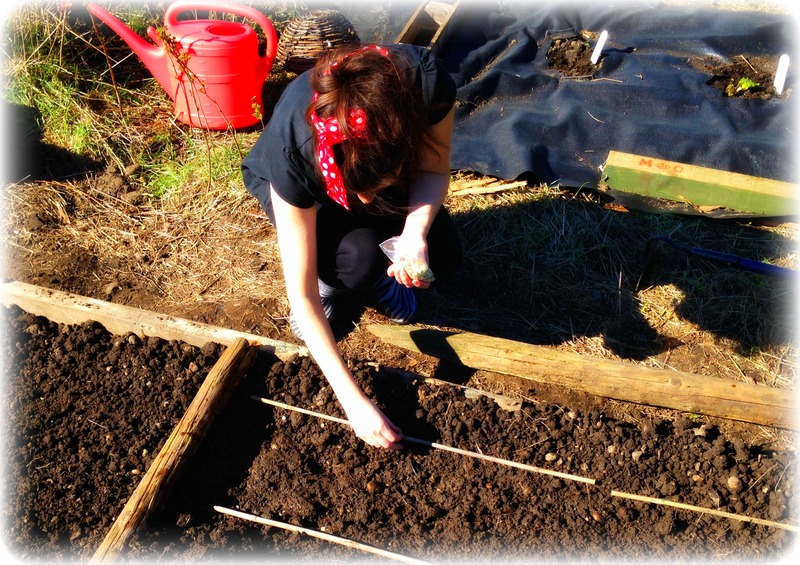 With blue skies, bright sunshine and nothing else on the agenda for this weekend, it seemed the perfect occasion to go down to the plot and get digging. 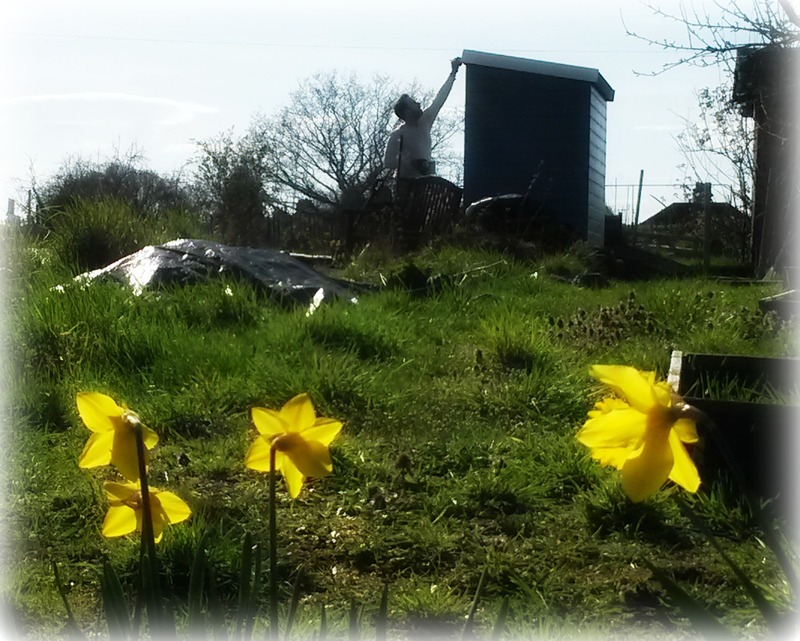 Yesterday, Ade gave the shed another lick of paint whilst I dug over what will soon be the onion and beetroot bed. He also created a second wildflower bed beside the shed. 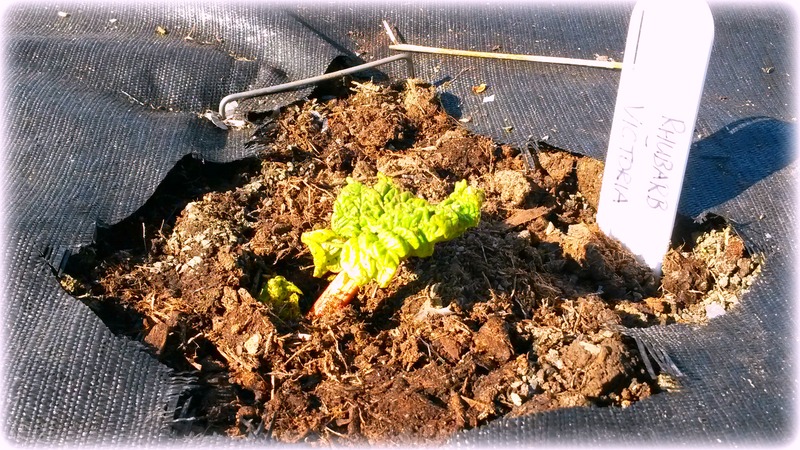 We took a peek beneath the upturned flower pots that Ade had placed over the three Rhubarb varieties he planted only two weeks ago and we were delighted to see that Victoria has already burst into life! No sign of the other two as yet. The weather today, Sunday, was even more glorious than yesterday. The allotments were a hive of activity and we managed to get oodles of jobs done. Ade prepared two of the beds with rock dust (this is his latest experiment, he’s heard very good things about its soil enriching properties) and we planted some peas (Kelvedon Wonder) and some carrots (Autumn King 2). We’re protecting them with polythene cloches which we hope will keep them snug until the weather becomes permanently mild. We also sprinkled a mix of seeds into our two wildflower beds: Cornflowers, Corn Poppies, Calendula and the enigmatically-titled Bird/Butterfly Mix 4000 which Ade bought from a seller on Ebay and can’t remember what it contains. A nice surprise awaits us! In other news – our blog is one month old today! Big thanks to our ever-expanding number of followers for your likes, comments and for sharing the lottie love with us. Hello Neighbour! Where did you source your rock dust from? I’ve not heard of this one, I’m keen to see your experiences!